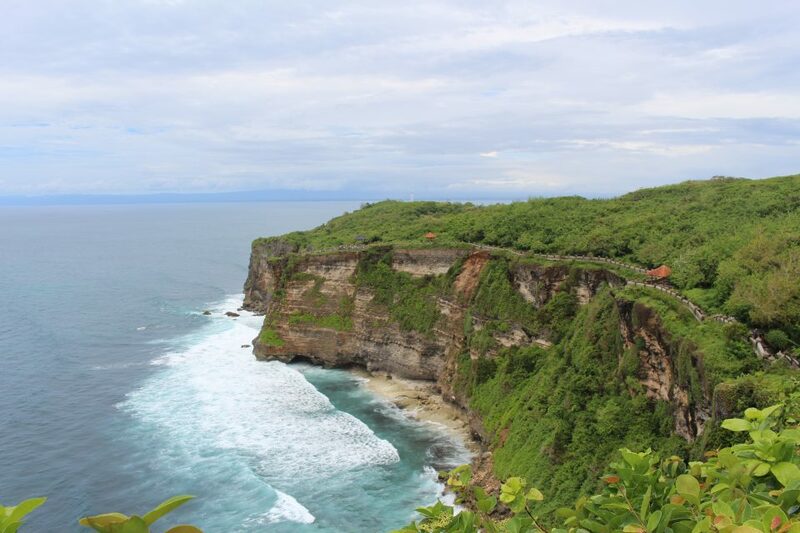 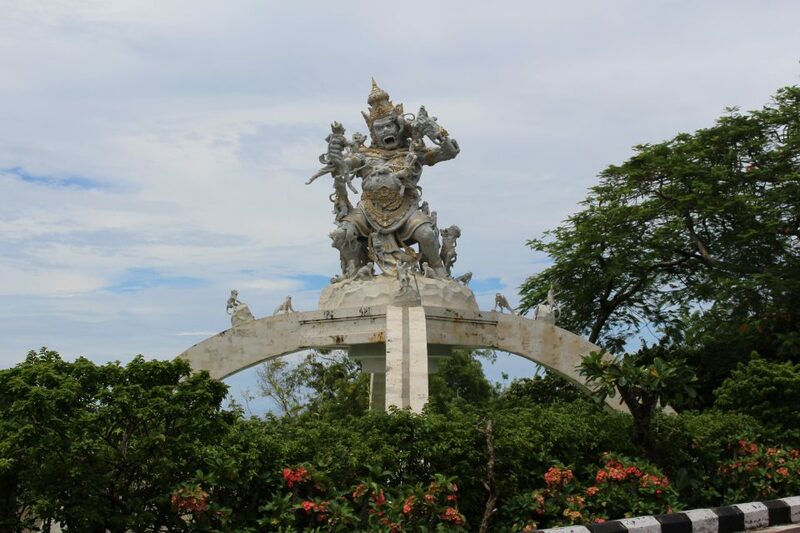 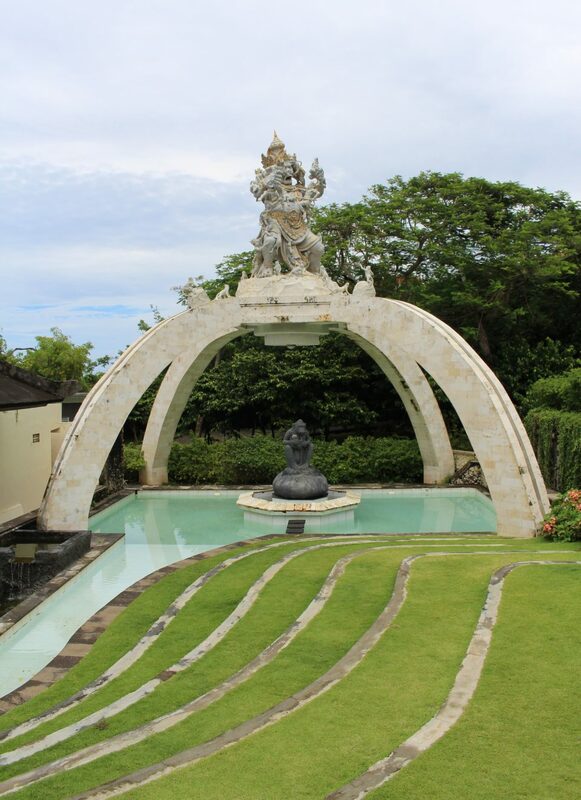 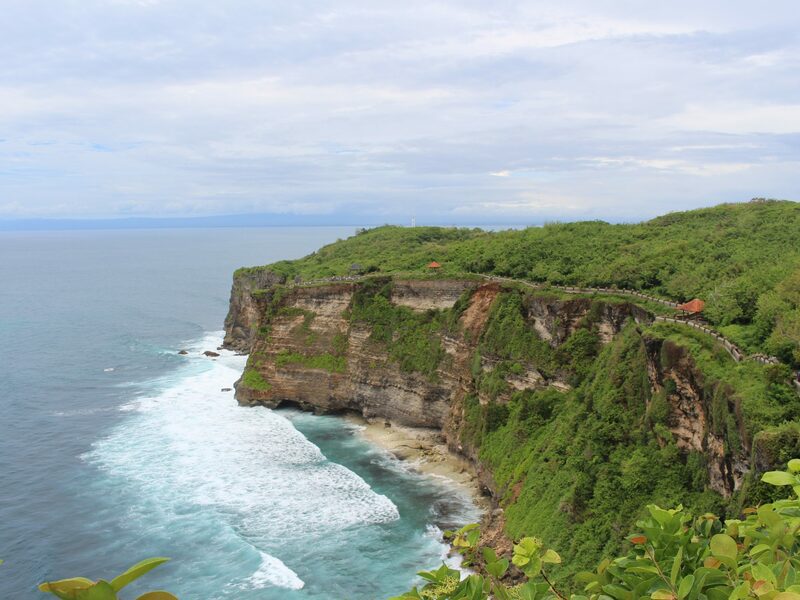 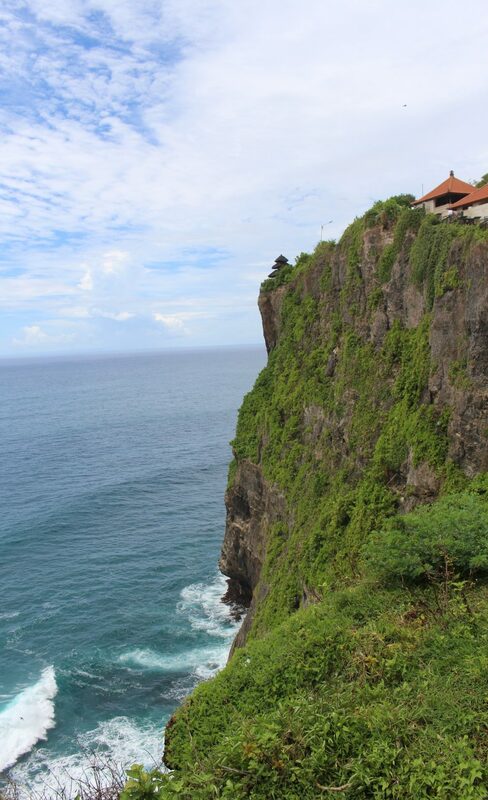 On the surf-haven west coast of the Bukit Peninsula in Bali, we ventured to Uluwatu Temple, a Balinese temple by the sea. 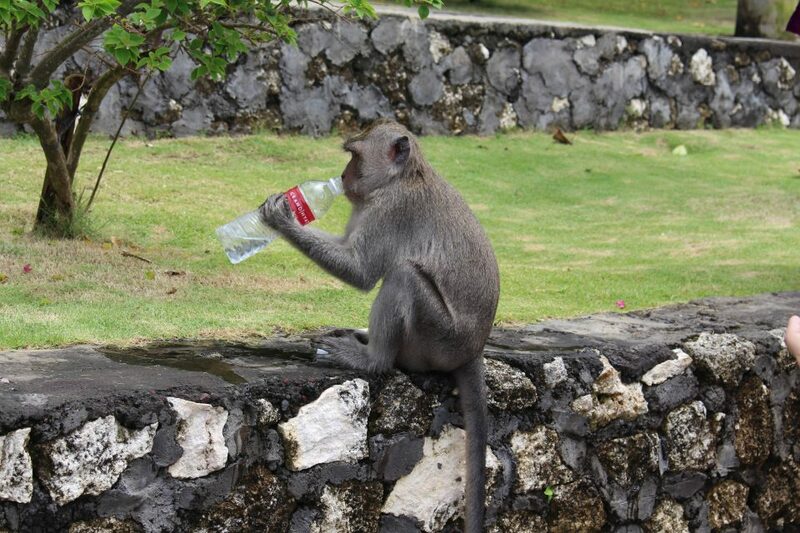 The temple is covered in Balinese macaques who love to steal glasses and bottles. 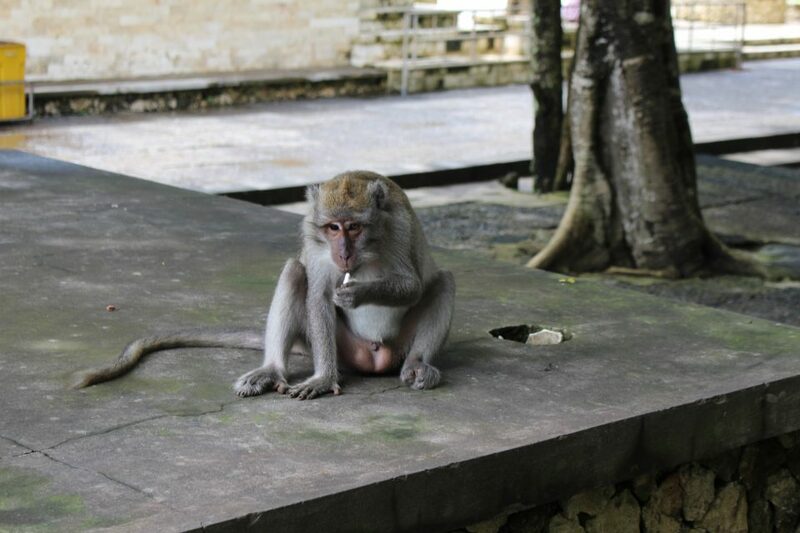 This guy stopped for a smoke. 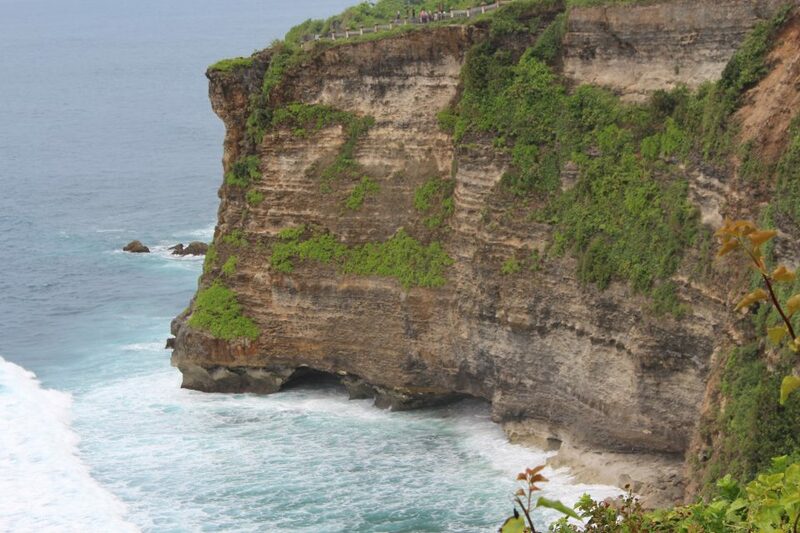 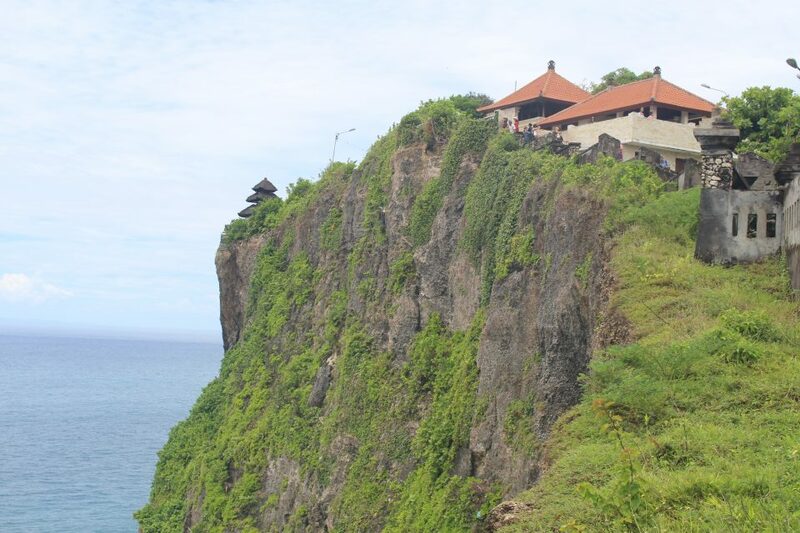 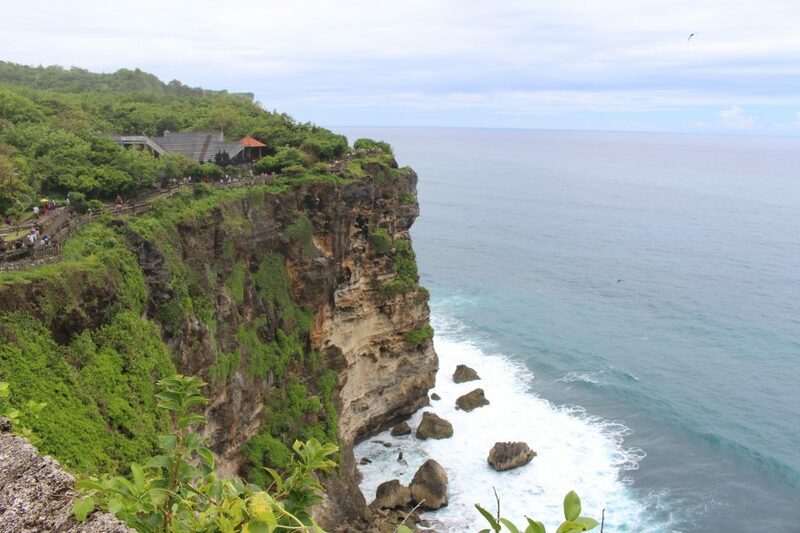 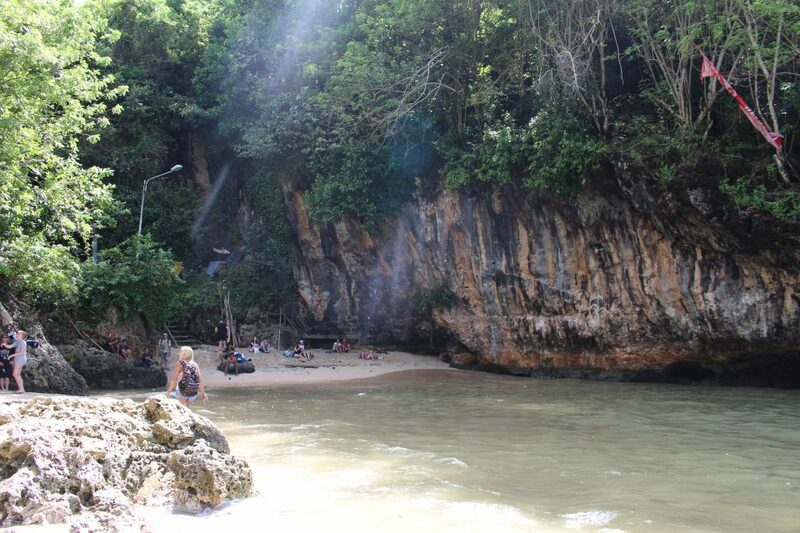 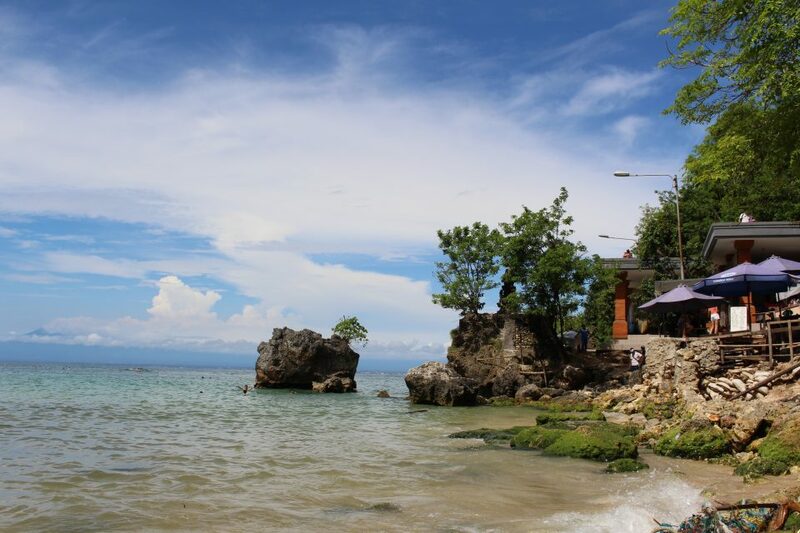 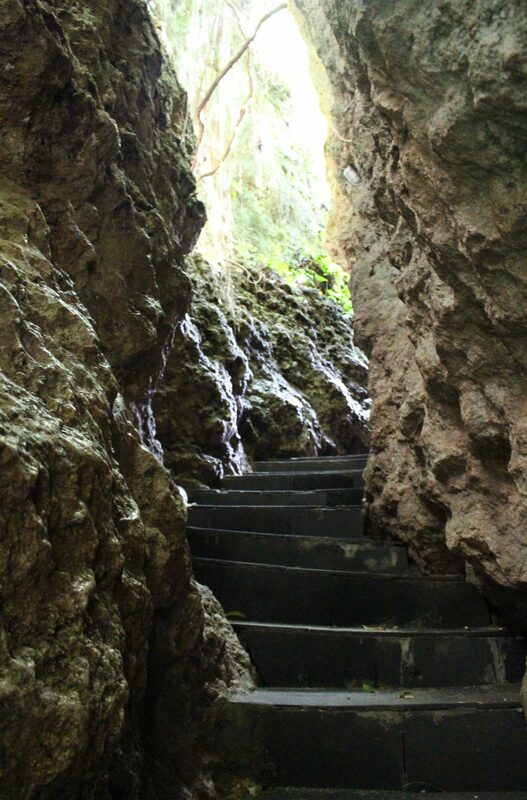 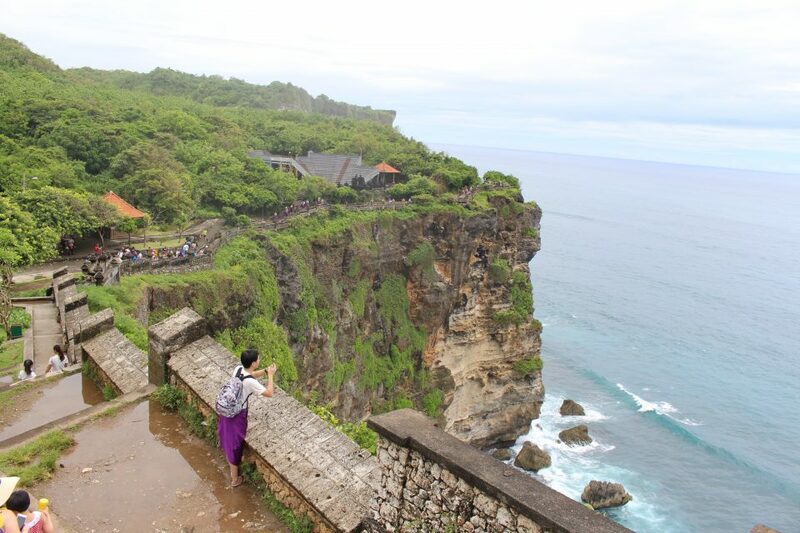 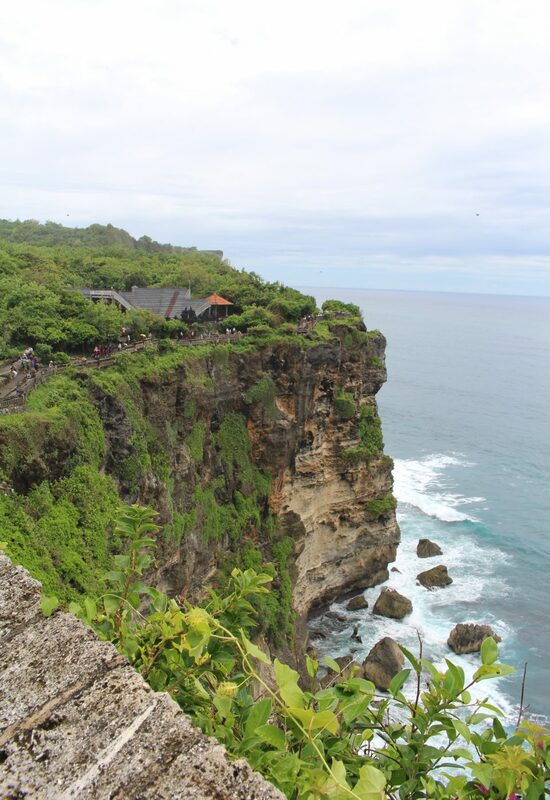 Not too far from this cliff-side temple is Padang Padang beach, only accessible through this narrow passageway. 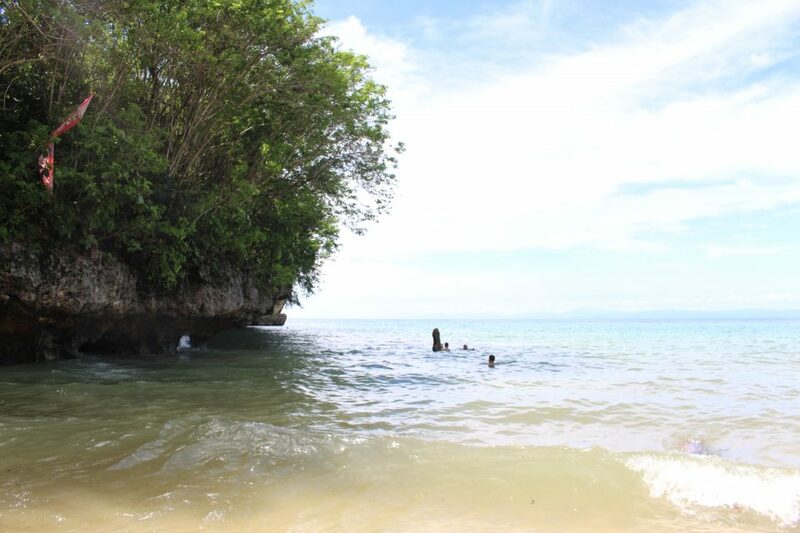 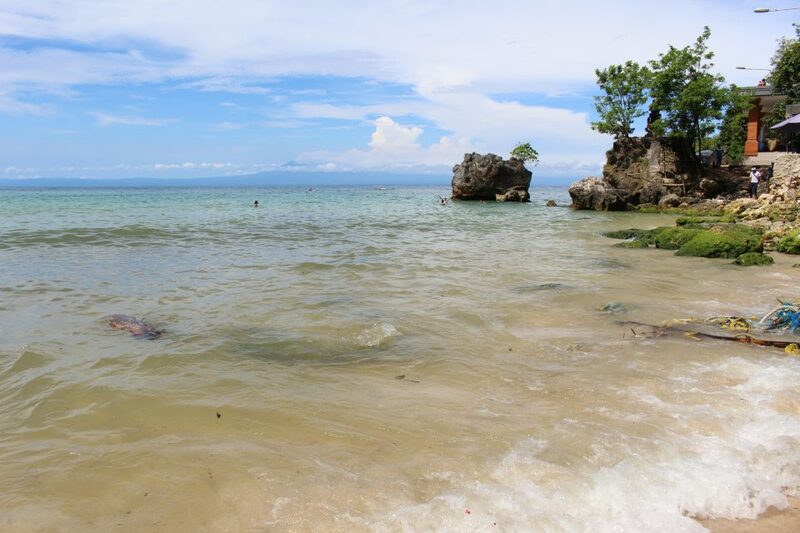 The beach is small, especially at high-tide, but you can venture out into the relatively warm waters and even surf. 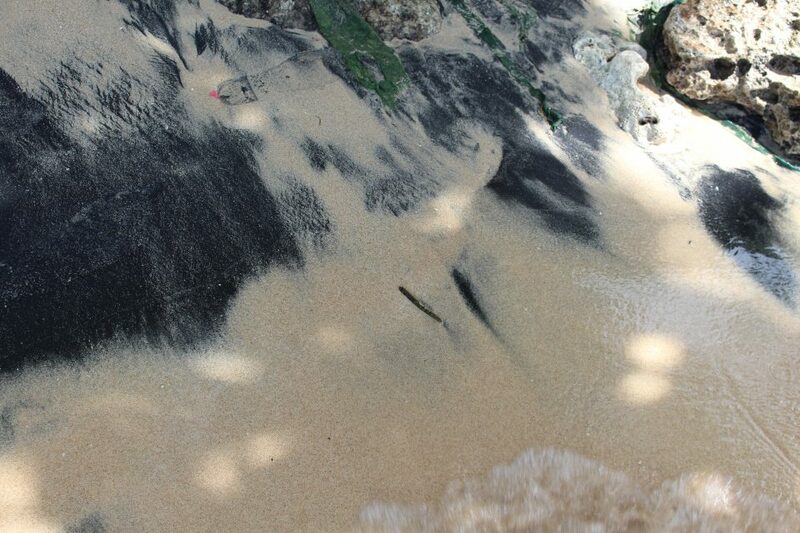 The sand seems to be an even mix of black and white.